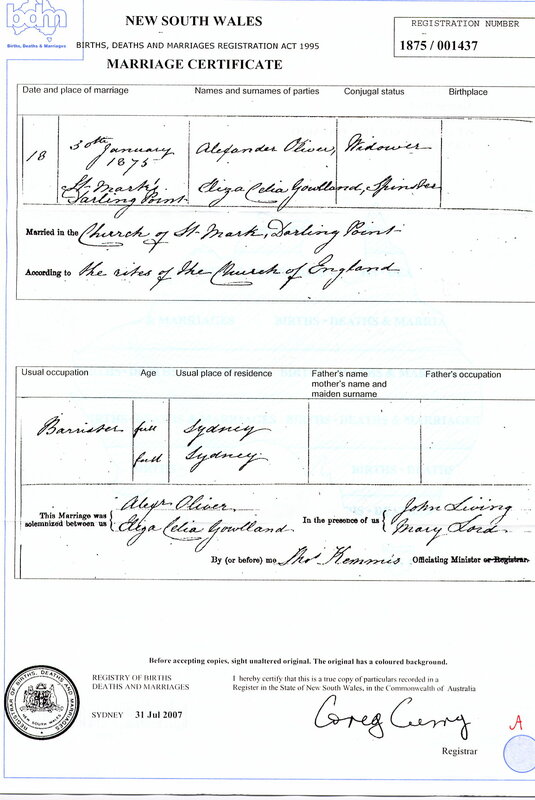 John Thomas Ewing ‘Jack’ Gowlland was born on 10th July 1838 in Leysdown, Kent, the third child and eldest son of Thomas Sankey Gowlland and his wife Mary née Ewing - click here for his birth certificate and here for his baptism certificate. 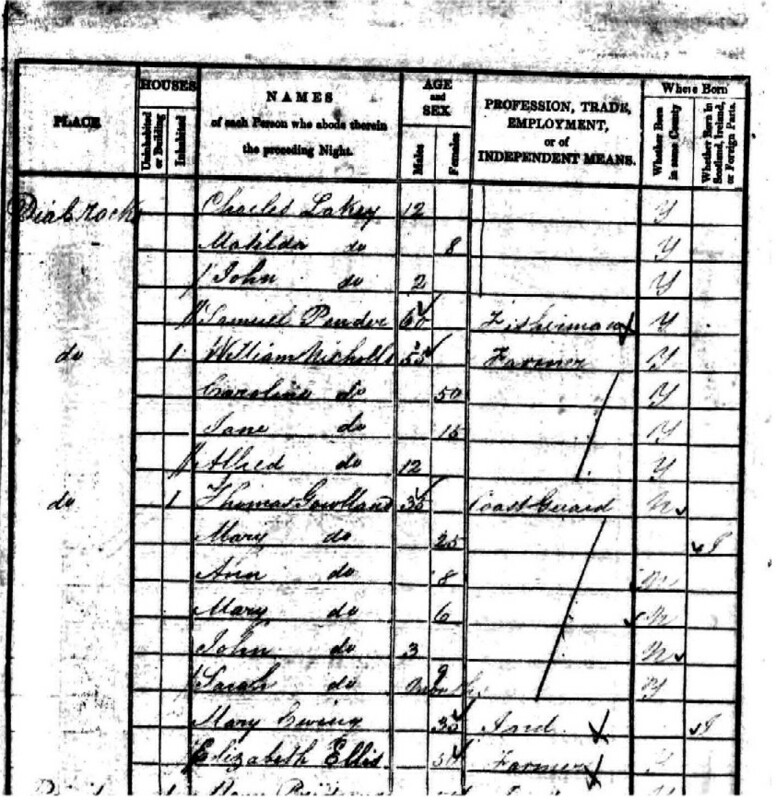 The 1841 census (click here) shows him living with his parents in Tresco in the Scilly Isles. He graduated from here in 1853 as Captain of the school. He was one of a select group of outstanding pupils to be given immediate promotion as a Master’s Assistant, in his case to Nelson’s former flagship, HMS “Victory” in Portsmouth Harbour where he kept the logbooks. On 18th August 1853 he was posted to HMS “Rhadamanthus” engaged in Channel duties. On 25th March 1854 he joined HMS “Archer” on which he saw action in the Baltic during the Crimean War, including the bombardment of Riga. He was awarded the Baltic Medal (click here - note that his rating is "Master's Assistant"): these were awarded to participants in the action involving a British and French fleet entering the Baltic, and capturing Bomarsund harbour and one of the Aland Island [now part of Finland], resulting in the destruction of the Russians' northern naval base and thereby in the Allies' gaining control of the Gulf of Finland. These medals were dispatched in batches in early 1857, the first batch being numbered B A 1, the next B A 2 and so on; and it will be seen that his was amongst the first batch and it was forwarded to him on HMS "Archer" on 2nd June 1857. Whilst on duty in the Crimea, he was given command (aged 16) of a prize, a sloop called “Anna Maria” (we have been told that Russian ships of this period were named after members of the extended royal family) which he brought back to England after a perilous voyage, being given a medal by the Lords of the Admiralty for this feat - it is unclear whether this was the Baltic Medal mentioned above, or another. Regrettably neither Captain's log nor Master's log for the "Archer" were deposited in the National Archives - only some navigational logs. He sailed with the “Archer” to the West Indies in 1856 and then in October 1857 joined HMS “Ganges” on a voyage round Cape Horn to Valparaiso where he joined the “Cockatrice” for a survey of the Chincha Islands off Peru. The map below is annotated as showing "the track of HMS "Ganges" from Rio de Janeiro de Valparaiso between 13th December 1858 and January 1859 - this chronology may be one year adrift, or he may have made this voyage two years in succession. Below the map is his water-colour painting of Rio de Janeiro showing Sugar-Loaf Mountain (Pão de Açúcar) and the Fort (Forte). From Valparaiso he sailed on the “Ganges” to British Columbia. joining HMS “Plumper”, an auxiliary steam sloop, barque rigged, 484 tons, 60 h.p., speed under steam about 6 knots, designed by Fincham and launched at Portsmouth 1848. She was armed with two long 32-pounders and ten short ones of a pattern that was already virtually obsolete. She had left England on 26th March 1857 and arrived at Esquimalt on 9th November. At that time the officers were Captain Richards: William Moriarty, 1st Lieutenant; Richard C Mayne, 2nd Lieutenant; August Bull, Master; Pender and Bedwell, 2nd Masters; William B Wood, M.D, surgeon; and Francis Brockton. Jack Gowlland joined the "Plumper" as second master under Captain George Richards - precisely when this occurred we do not know. They carried out a survey of the west coast of Canada and upgraded the mapping of the San Juan and Gulf Islands on the western side of the 19th Parallel. Many capes, channels and islands were named after the ships and members of the survey team among them Gowlland Harbour and Gowlland Island - for more information on these names, click here. Documents relating to this period are held in the British Columbia Archives - for details, click here. - and also in the UK National Archives in Kew - click here. The "Plumper" left Esquimalt for England in January 1861, at which time the survey team joined the more commodious paddle wheel sloop “Hecate” (860 tons, 5 guns, brigantine rigged). 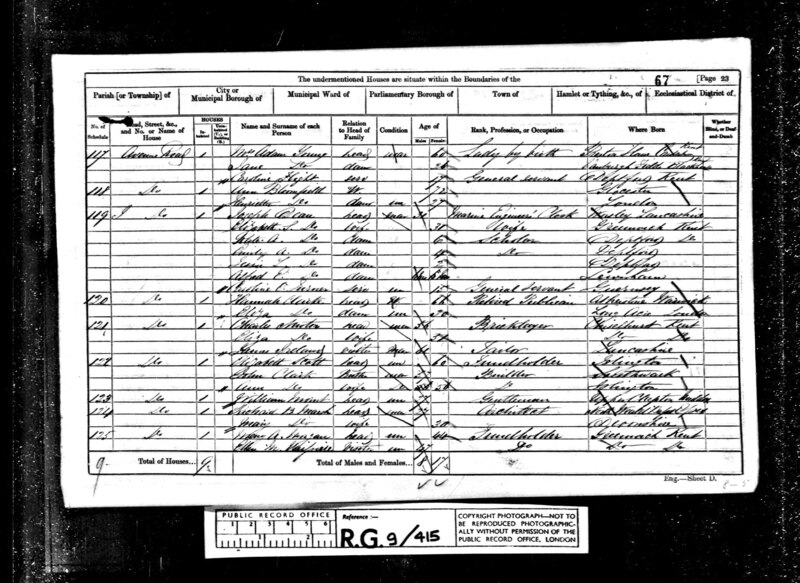 He was on the "Hecate" when the 1861 census took place - for an image of the relevant entry, click here. It remained in British Colombia until 1863. In this same year,1861, the "Hecate" had a narrow escape from total loss. On 19th August, during a dense fog, she ran on shore, close eastward of Cape Flattery, between Tatoosh island and the mainland, while returning to Victoria from survey work on the west coast of Vancouver island. She was re-floated during the course of the day, and arrived at Esquimalt the same evening. After temporary repairs, she was despatched to San Francisco, where she was fully repaired in the floating dock, after which she returned to Esquimalt on 1st November 1861. Subsequently they headed south to conduct a running survey of the coast of Mexico from San Blas to Acapulco and then west across the Pacific to Honolulu, the Sandwich and Navigators Islands to Australia, arriving in Sydney on 26th July 1863 after a voyage of five months. In August 1863 the “Hecate” carried out a survey of Rockingham Bay before heading north for Batavia, and thence to England. At some time in this year he was involved in a survey of islands off the Eastern coast of Japan - "Japan islands, harbours and anchorages on the East coast of Nipon ...Assisted by Comr RC Mayne, D Pender and EP Bedwell, Masters; JT Gowlland and GA Browning, Second Masters; and ER Blunden, Masters Assistant. 1863. [ http://collections.rmg.co.uk/collections/objects/553805.html ] This chart is in the National Maritime Museum in Greenwich, London. Jack had been away from England for 6 years and 4 months from his 19th to his 25th year. He was promoted Master in August 1863. In the early 1800s most sealing and whaling in Australian waters was run by three men: Henry Kable, James Underwood and Simeon Lord. Kable (1763-1846) was a burglar who came out on the First Fleet under a death sentence that had been commuted to fourteen years' transportation. He became an overseer, then a rum trader, selling liquor to convicts the officers were too haughty to deal with directly. Some time before 1800, Kable had met up with James Underwood (1776-1844), another convict, who possessed the inestimably useful skill of knowing how to build boats. Ships of any kind were in short supply in the colony, even then. Kable and Underwood built a sloop Diana, and fitted her out for sealing in Bass Strait. Before long they had sixty men working for them and were skinning 30,000 seals a year. Underwood's shipyard, at the head of Sydney Cove, was turning out vessels up to 200 tons in burthen. In 1805 they took on a third partner, Simeon Lord (1771-1840), who had been transported in 1790 for stealing several hundred years of calico and muslin. His offense was a juvenile one and he never repeated it. A ruthless stone-squeezer [sic] of a Yorkshireman, Lord too had come up through the rum trade. Doubtless the officers felt that by using such shady men as distributors, they were saved from demeaning contact with convicts and Emancipists. In fact, they were creating just the social anomaly they feared. Lord was an entrepreneurial genius and fast as a dingo. 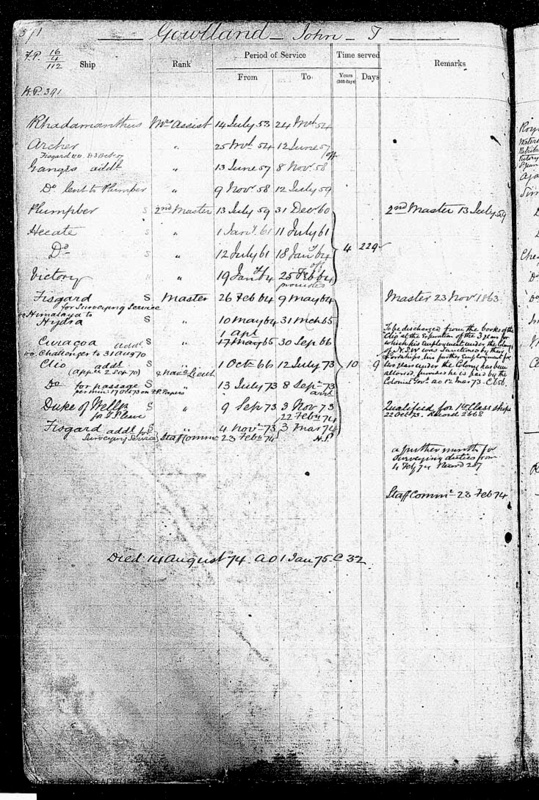 By 1798 he had his own warehouse, and by 1799 his first ship. He cultivated Robert Campbell [a just and humane free Scottish merchant who succeeded in breaking the East Indian Company's unjust restriction on Australian traders exporting whale or seal products direct to London, thereby being acclaimed in New South Wales as a "trader-hero, father of the mercantile community"] who gave him useful introductions to important people in the sealskin market in London. Lord "traded up" from rum to iron and timber, and then to manufacture. In workshops staffed by assigned convicts, he made the consumer goods that were still in such erratic supply, and so costly, in Sydney: candles, soap, glass, stockings, cloth, harness, boots and leather hats. Between 1806 and 1809 Lord, Kable and Underwood sold over 127,000 sealskins in London, more than China and Calcutta. Sealing led naturally to Pacific trade in sandalwood and other commodities. In 1803 Simeon Lord built himself a mansion in Sydney, the largest private house in the colony. It had three stories and a basement, and an elegant verandah carried on slender columns over the street: it was built of sandstone bound with imported mortar. "Lord's Palace" was to commerce what Macquarie's [a pro-Emancipist governor who acquired a vast acreage] estate was to landholding. His social betters passed it with distaste, unable to ignore this irrefutable monument to social permeability. "Mr Lord (formerly a horse stealer) has built a house that he lives in that cost £20,000," sniffed a visiting naval surgeon in 1810; (but still these men are despised and any free settler would not deign to sit at their tables . . . . Most of these men have made their money by trading!" 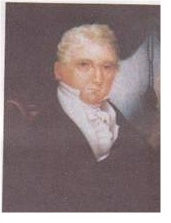 Simeon (portrait below) was born in Todmorden, West Yorkshire 1771, one of ten children of Simeon Lord (1744 - 1778) and Ann Fielden - their marriage was in 1764 in Rochdale, Lancs. For more information regarding the Lord's antecedents, click here and go down the page to "Mary Hanesworth". As a result of Jack's acquaintance with Francis Lord, an attachment was formed with Lord’s attractive younger daughter Genevieve. As far as is known, Jack returned to England in about December 1863. In mid-2007 we found records of the birth of twin girls, Ada Agnes Gowlland and Ellen Elizabeth Gowlland, on 14th November 1864 - click here for Ada's birth certificate and here for Ellen's. The father is named as "John Thomas Gowlland - Master, Royal Navy". The births occurred at No 12 Herbert Road, Plumstead, Kent, in the registration district of Lewisham, and the mother was named as "Jane Gowlland, formerly Young". Counting backwards from the date of birth, and assuming the pregnancies went to term, this would imply that conception occurred around February 1864 - in other words just two or three months after his return to England. 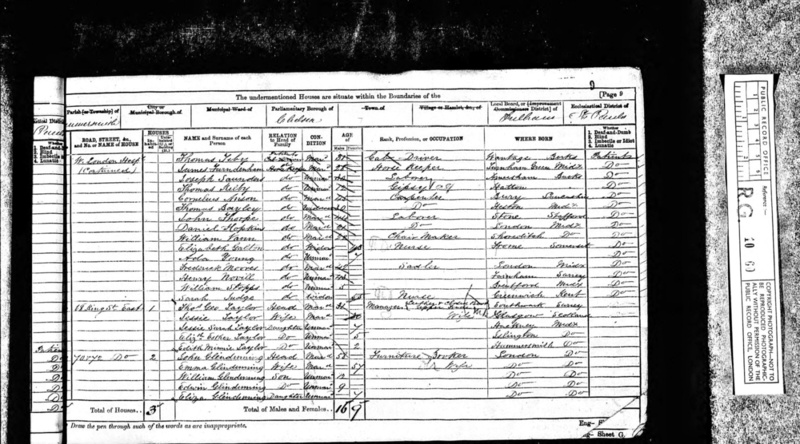 There is no record of Jack's having married Jane Young before or after the birth; nor are there any records of Jane or Ellen in the 1871 census, in the names of Gowlland, Gowland or Young; nor is there any death certificate in the Kent district for Jane Young or the girls in the years following the birth. . However, there is a record of an Ada Young in the 1871 census (click here), shown as a Patient in the London Hospital in Hammersmith: apart from her (correct) age of seven, there are regrettably no further details, specifically there being no mention of her place of birth. However, as there are only four names for "Ada Young, born 1864" in the entire 1871 census, and the other three of whom are clearly born to couples where the husband's surname is Young, this particular entry looks quite likely to be correct. 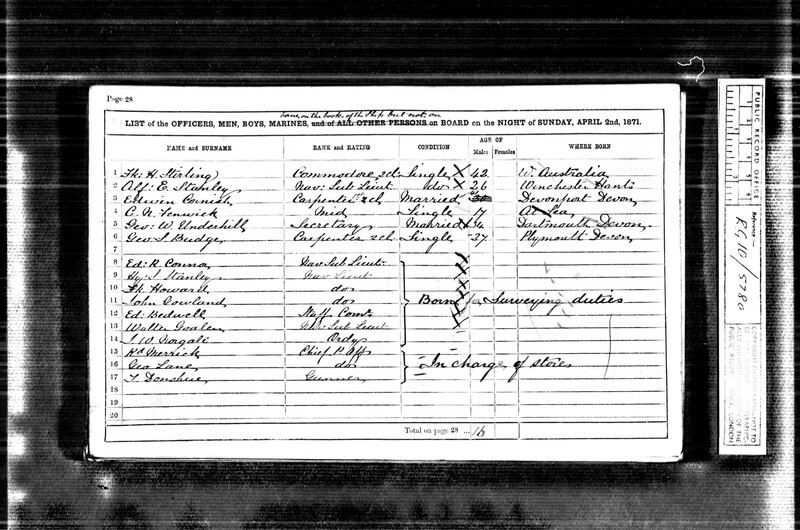 There is also no obvious candidate for Jane in the 1861 census. The nearest possibility, in the same district, is a Jane Young of, obviously, a relatively moneyed background - click here. However, there's no certainty of this being the correct one. All the evidence points to the father being Jack, but what happened to Jane and the little girls is, at the moment, a mystery. I was fascinated with the speculation about the twin girls possibly fathered by Jack. Jack proposed to Genevieve by letter on his way back to England in 1863. He was obviously very smitten with her. He received her refusal, and a reprimand for not having approached her father first, when he arrived in England; and was devastated. I have these letters. It took quite some months until communication was re-established between Jack and Genevieve (I think owing to some go-between work by Genie's sister), by which time Jack was in the Mediterranean. In fact he would have been there when the twins were born, and was busily wooing Genie again by letter and trying to secure his appointment to the Australian survey. I think these circumstances make it quite possible that he succumbed on the rebound; but I am surprised that it seems so underhand as all his writings suggest that he was a man of high moral character. Not that I am biased of course! What else can we find out!! Isn't this a great mystery? He was appointed to the Australian Survey as chief assistant to the NSW Government Survey schooner “Edith” and returned to Sydney on 23 May 1865. On the 12th October, at St. Thomas's Church, by the Rev. W. B. Clarke, M.A., Richard Randolph, eldest son of R. M'Hattie, Esq., M.D., of Bathurst, to Mary, eldest daughter of the Hon. Francis Lord, M.L.C., of Marsarlue, St Leonards. Also, at the same time and place, John T. Goland, Esq., R.N., of H.M.S. 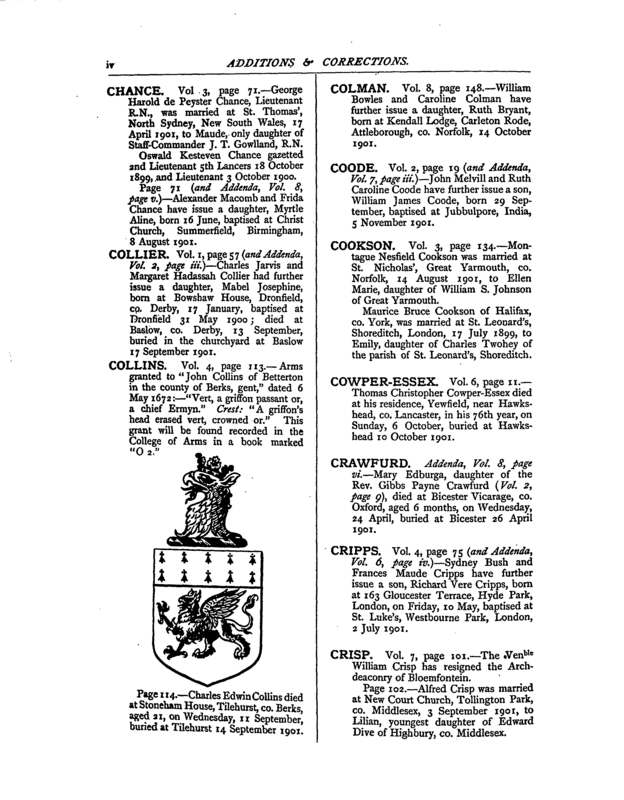 Curacoa, eldest son of T. Goland, Esq., of Bexley Heath, Kent, to Geneveive Elizabeth, youngest daughter of the Hon. Francis Lord, M.L.C., of Marsarlue, St Leonard's. Jack and Genevieve had three children, John Vancouver Richard (1866 - 1918), Percy Hartwell (1867 - 1920) and Mary Maud (1870 - ?). 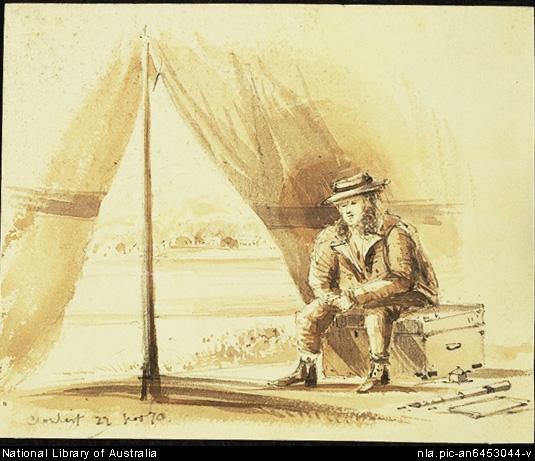 On 6 August 1866 Jack Gowlland took charge of the NSW Coast Survey and carried out a series of surveys of the coast and its rivers, many of which had not been surveyed since the time of James Cook, including the Clarence, Richard and Hawkesbury rivers and Broken Bay. A mention of his work at this time, including the description of him (in 1861) as "aggressive and utterly racist/Victorian" appears in a Canadian website - click here. In the "Brisbane Courier" of 16th December 1868 there is a report on the return of HMS "Edith" after her two-month cruise. The full link is http://ndpbeta.nla.gov.au/ndp/del/article/1314987 - note that connection to this is somewhat erratic, and does not seem to work at all with Mozilla Firefox - it may be necessary to paste this link into your own browser. In October 2006 one of his charts was offered on eBay and was bought for the princely sum of £1.99 (US$ 3.60). The inscription (see below, and click on image for enlargement) reads "Sheet 1 - East Coast of Australia - New South Wales - Gabo island to Montagu Island - Surveyed by Navigating Lieutenant J. T. Gowlland R.N. 1868 - Assisted by Navigating Sub Lieutenant W. N. Goalen R.N.”. Regrettably the chart is far too large to be scanned for inclusion in this biography. Many of the beautiful charts and engravings he made during this period are held in the Greenwich Maritime Museum and in Australian libraries and archives. For two examples of these located in the Queensland State Library, click here (Richmond River) or here (also Richmond River) or here (Hunter River). Evidently these are much esteemed, as is evidenced by a speech in February 2004 to the Queensland Library Foundation by the (lady) State Governor of Queensland - for the text in full click here. A map from 1866 of his of Newcastle, Queensland (below) is featured in an article concerning the location of the campsite close to the Hudson River of the 1801 expedition of Colonel William Patterson, Lieutenant James Grant and Ensign Francis Barrallier. 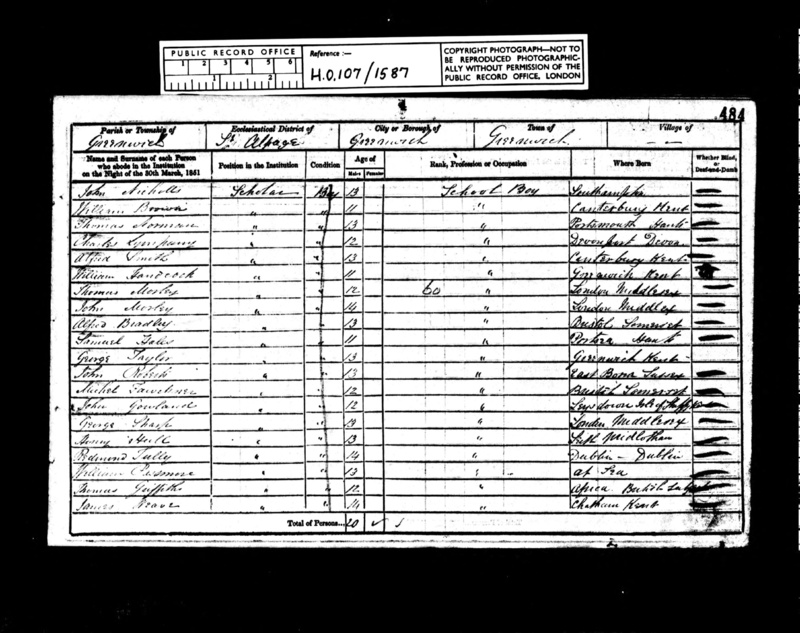 In the 1871 census (click here), spelt as "Gowland", he is listed as "not on board but borne on books", and described as "Nav. Lieut". In 1872 he volunteered to command a relief exhibition to search for the brigandine “Maria” wrecked off Bramble Reef in north Queensland. [This exploit was the subject of an article in the 1960s by the well-known Australian columnist George Blaikie - for the article in full, click here]. And for a 1916 article dealing with the tragedy entitled "First Attempts at Settlement in New Guinea", click here [page 164 et seq]. For rescuing 36 ‘pitiful survivors’, he was given some handsome pieces of plate and the thanks of the Premier of New South Wales, Sir James Martin. At a banquet in his honour a poem ‘Hail to thee Man of Kent!’ was recited by Alexander Oliver, a distinguished jurist and public servant, who had volunteered for the expedition and was later to marry Jack’s youngest sister Eliza Celia Gowlland (click here for their marriage registration). 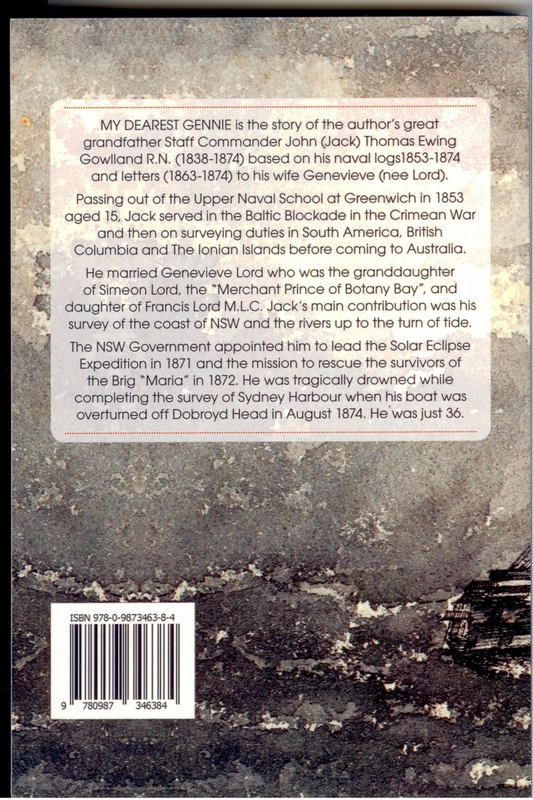 For an Australian biography of Jack Ewing, click here; and of Alexander Oliver click here. And for an interesting article about the Gowlland plaque click here. He returned to Sydney, accompanied by his sister Eliza Cecilia, on the SS "Hydaspes" from Brindisi to Melbourne, and thereafter, on the final stage of the voyage from Melbourne to Sydney, on the SS "Ellora", arriving on 8th May 1874: click here for the passenger list. Back in Sydney he continued with his career as a naval surveyor. On 14 August 1874 when he was taking soundings off Dobroyd Point in Sydney Harbour the rowing boat was swamped when a heavy ‘roller’ rose up without warning and capsized the boat. Jack clung to the boat for an hour before striking out for the shore. Overcome by cramp or perhaps by an attack of gout, he drowned. He was only thirty-six. For an enlargement of the photocopy of the original telegraph, below, click on the image. “at about 1.16pm when off Dobroyd Point, which is the headland between Manly Beach and the entrance to Middle Harbour, the boat was capsized by a heavy “roller”. Henry Peterson struck out immediately for the shore, but, when about half way, sank ... Mr Gowlland, Gardiner, and a man named Charles Venus got hold of the boat ... Venus who was the captain of the boat, stripped his clothes off and advised Mr Gowlland to do the same, but he was unable to do so. The boat, in the meantime, was prevented from drifting to shore by the lead-line, which was being used when the boat upset, getting entangled with something on the bottom. Venus then said that he would swim ashore and told Mr Gowlland to keep by the boat until he sent assistance. It is presumed however, that Mr Gowlland got benumbed, and was unable to hold on any longer, as he was afterwards seen endeavouring to swim ashore, and then suddenly to sink”. For a summary of the documentation relating to him, covering the years 1853 to 1871, in the State Library of New South Wales , totalling 1,234 microfilm frames, click here. And more documentation is available, together with a typed transcript, in the State Library of Queensland - click here. His executors advertised for any creditors in the London Gazette of 29th October 1875 - click here. For details of some of the descendants of his father Thomas, click here. He was buried with full naval honours in the church of St. Thomas, North Shore and was survived by his wife Genevieve – who later remarried – his two sons John Vancouver Richards Gowlland and Percy Hartwell Gowlland, and a daughter, Maude. Maude in 1901 married Lieutenant George Harold de Peyster Chance at St Thomas', North Sydney - click here - from "England and Wales Visitation Vol 1, III - XIV, Additions and Corrections. " Below is a photograph of the headstone as it was originally, and also as it was in November 2012. The Australian Gowlland who visited it, and took the picture, comments "The grave is very much neglected and I have included (a rather poor) photo of what it once looked like; I don't know when it was taken". Interestingly, Alexander Oliver was buried in the same burial ground as John Thomas Ewing Gowlland - click here - but note the wife who died in 1864 was his first wife, not Eliza Celia. For a very interesting article, containing a number of details additional to the contents of this biography, published in the August 1972 edition of the Naval Historical Society of Australia, click here . And for a summary of his career in a New Zealand website "Papers Past", originally published in "The Grey River Argus", click here. And for a brief article by his descendant Eleanor Barron, with an extremely useful bibliography, click here. 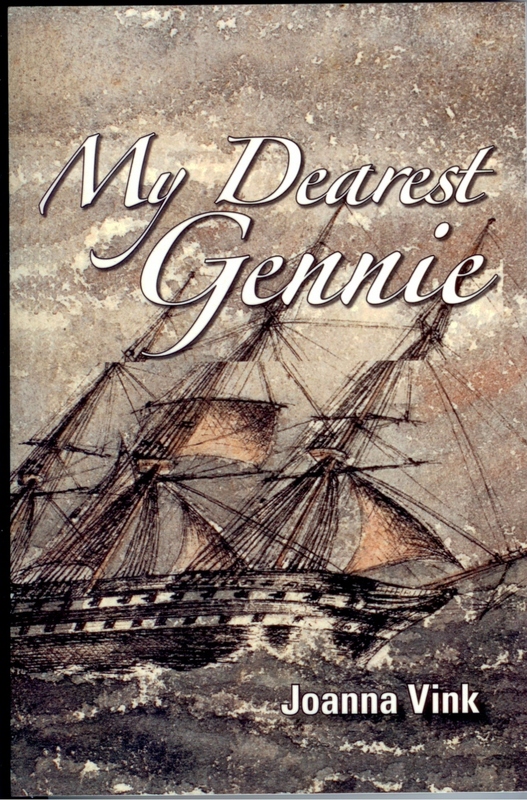 In 2013 Joanna Vink, Jack's great grand-daughter published a fascinating book "My dearest Gennie" based on Jack's letters to Genevieve, and his journals, and containing much else of great interest. The book (SBN 978-0-9873463-8-4) may be bought from Jo at joannavink@bigpond.com. On 19th November 2013 the Book launch of “My dearest Gennie” took place in Australia. Jo Vink reported “ . . it was a great success. Over eighty people, a lovely afternoon and a great setting at Masalou, Francias Lord’s old home, now part of Monte Sant’Anglo Mercy College”. For the invitation click here and for Captain Beard’s speech click here. Photos to follow. “In Dodger’s Cove [on western Diana Island in the Deer Group], HMS Hecate had encountered the Ohiat Indians”. ‘They are the most treacherous, thieving lot of rascals, that cannot be trusted out of sight,’ noted Gowlland.